The Illinois Fairgrounds Foundation is a private, charitable corporation created in August 2016 to aid the improvement of the state’s fairgrounds in both Springfield and Du Quoin, which have buildings constructed as early as 1894. Its mission is especially important as those premier agricultural and entertainment facilities face imminent and significant infrastructure challenges. 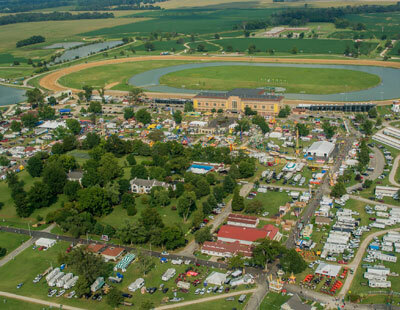 The non-profit Illinois Fairgrounds Foundation will solicit and accept private funding and donations to help enhance and preserve Illinois’ agricultural heritage at both the Springfield and Du Quoin fairground through a major capital improvements campaign to repair and restore those showcase properties for the benefit of future generations of all Illinoisans. The north side of Springfield has been home to the Illinois State Fair since 1894. Totaling 366 acres, the fairgrounds house some 165 structures, including the Exposition Building built in 1894, the Grandstand built in 1927 to replace the original 1896 structure, the 1901 Coliseum, the Dairy Building completed in 1903, horse, cattle and swine barns dating to 1912, and the Multi-Purpose Arena constructed in 2000, which is the fair’s newest facility. Numerous other facilities host competitive animal judging, agricultural displays, entertainment events and conservation and natural resources programs. In addition to the 10-day Illinois State Fair in August each year, the facilities host other events throughout the year. 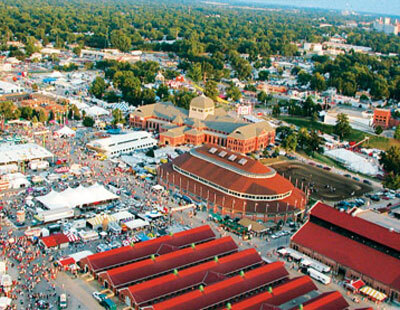 First incorporated as a private entity in 1923, the Du Quoin State Fair and its grounds were acquired by the state of Illinois in 1986 to showcase the heritage of Southern Illinois. Located on some 1,450 acres in Perry County, the fairgrounds now include large open parkland spaces and three dozen structures, including two historic private residences and the Grandstand with a one-mile track that host musical concerts as well as harness and auto racing events. The Illinois Fairgrounds Foundation is a 501(c)(3) Tax-exempt organization. No government funds have been used in the development of this website.